One of the first definitions of faith that I ever heard did not come from a pastor or the church. It was a line used twice in the original version of the movie “Miracle on 34th Street.” In that movie, faith was defined as, “believing in things when common sense tells you not to.” While it is easier to remember than the full paragraph definition of faith given in my first Systematics Theology course in seminary, I believe that the definition of faith given in Hebrews is a greater benefit. 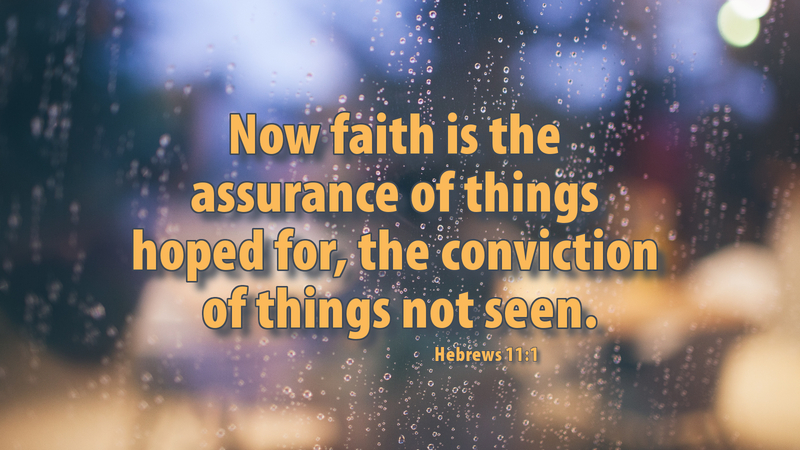 The preacher of Hebrews states that faith is “the assurance of things hoped for, the conviction of things not seen.” The preacher goes on to highlight examples from the Old Testament Scripture of those who heard the Word of God, lived with the conviction that God would deliver on His promise, and acted in accord with God’s Word. The church does the same today. We come to the table in faith, called by the Holy Spirit to receive Christ, given in, with, and under the elements of bread and wine. Jesus is the living bread from heaven, given for you. Today’s devotion was written by Mark Werner, Pastor of St. Paul Lutheran Church, Latrobe (Trauger) PA.